It was a politically-charged Sunday for the ruling Samajwadi Party in Uttar Pradesh. At one point, there were too many crucial updates coming in, that the news channels conceded and told viewers that it was too hard to keep pace with the news pouring in from Lucknow. Two big guns from the party were fired — one by Chief Minister Akhilesh Yadav and the other by party supremo Mulayam Singh Yadav. The interesting thing to note was both who got fired were part of the first family. The CM sacked Mulayam's favourite brother and party president Shivpal Yadav from his cabinet. Hours later, Mulayam retaliated and fired party general secretary Ram Gopal Yadav, who is also a trusted advisor to Akhilesh, from the party as well as the cabinet. Even as these two news updates stunned political and media circles and it became clearer as the day progressed that the ruling SP in Uttar Pradesh is divided on many issues, the party spokesperson kept a stoic front and maintained that all is well in the party. "The chief minister and Shivpalji are inseparable — like you cannot separate flower from its fragrance," one of the spokesperson said on a popular TV news channel. As early as 6 am on Sunday, Ram Gopal addressed SP party workers in a one-paged-letter giving a fresh twist to the ongoing power tussle in the party. The letter addressed to "pyare saathiyon" (dear colleagues) said Ram Gopal's aim was to ensure that a state government was formed in the leadership of his nephew Akhilesh. The Rajya Sabha member who was hitherto considered the think tank of the party has now thrown his lot behind Akhilesh and virtually crossed daggers with his cousins Mulayam Singh Yadav and Shivpal Singh Yadav. In his letter Ram Gopal said that people with Akhilesh were those who have spilled blood for the party and made great sacrifices whereas those who "minted crores and misused power" were on the other side. The national party general secretary also said while their thinking was positive, others were of negative mindset. While no names were taken, the political overtone in the letter suggest that he was alluring to the other side led by Mulayam Singh Yadav. The timing of the letter was spot on as well. It came hours before a crucial meeting of party legislators called by Akhilesh at his official residence, where many feel, he could come out with his vision of the road ahead. As Akhilesh's meeting began and news started trickling in, the scene outside 5, Kalidas Marg, Akhilesh's official residence was clearly split in two factions — Mulayam-camp and Akhilesh-camp. And soon after, the first big news of the day was received, Akhilesh had fired Shivpal from his council of ministers. The chief minister had also sacked three others who were supposed to be Shivpal loyalists. It couldn't get more clearer. In the past one month, this was the second time that Akhilesh axed Shivpal — last time Shivpal was stripped off all his portfolios — but this time around it was different. Soon, the chief minister recommended to Governor Ram Naik that Shivpal, Narad Rai and Om Prakash Singh (all Cabinet ministers) and Sayeda Shadab Fatima (MoS -Independent charge) be sacked from his ministry. This was accepted immediately. Political observers and senior journalists noted that Akhilesh's move was nothing that has been seen in SP until now. Axing a family member for the second time was meant to send out a message to Shivpal supporters on who is the boss. Akhilesh in clear terms sent out the message that you maybe family, but you are not above the chief minister. As the news of Shivpal's sacking came in, pro-Akhilesh legislators, who were gathered outside, chanted: "Akhilesh bhaiyya, aage badho. 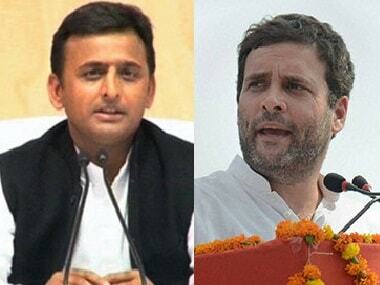 Hum tumhare saath hain (move ahead Akhilesh, we got your back)." Interestingly, Mulayam and Akhilesh had a meeting just before the chief minister met with the party legislators and sacked Shivpal. Initially, it was speculated that Mulayam was in on the Shivpal-sacking plan, but as reports started coming in, according to sources Shivpal's-sacking came as a big shock for Mulayam. Claiming that they had exclusive details, CNN-News18 reported that Mulayam, Shivpal and three other senior SP leaders saw it on TV that the chief minister had sacked the party president. By the time reports began surfacing on TV news channels, Mulayam was livid. It was even reported that Mulayam was mulling removing Akhilesh as the chief minister and annoint himself as the chief ministerial candidate for the 2017 UP Assembly Election. Mulayam, as reported by CNN-News18, cannot stand the fact that his party is divided in two halves. Akhilesh, on the other hand, wants to be the sole leader of the party. TV reports quoted sources and said that Mulayam had strictly told Akhilesh not to precipitate a situation where the party stands divided. Akhilesh, who has been very clear on his stand towards Shivpal and his closeness to Amar Singh, told Mulayam that he needs to take some tough decisions as the leader of the party. Akhilesh had made it clear to his father and SP chief Mulayam that he wanted to purge his cabinet of Amar Singh's followers. Akhilesh threw in the towel and was of the view that only his complete sway over the party decisions could alter the situation and salvage the SP's image, specially before the forthcoming state assembly polls which are just a few months away. Soon after that news channels started airing headlines like "Split in SP?". Akhilesh Yadav, however, said that no one will come between him and his father — even as the news of Shivpal's sacking (Mulayam's favourite brother) — did not stop flashing on the screens. Akhilesh, speaking to Network18, also added that he will not let the party split. However, the chief minister was unwavering when it came to Amar Singh, who was recently been brought into the SP fold. On Saturday, Mulayam Singh Yadav had expelled MLC Udayveer Singh, one of the closest aides of Akhilesh, from the party for "undignified" conduct, days after he wrote to Mulayam suggesting to him to elevate the UP CM as the party's national president. In the four-page letter to the party supremo earlier this week, Udayveer had said, "SP state president Shivpal Yadav and other members of his family have misled you (Mulayam) and hatched a conspiracy against CM Akhilesh, who should be made party national president and given all the powers." Udayveer, whose association with Akhilesh is over three decades old, with both studying in school together, had reportedly also made some comments about Mulayam's second wife and Chief Minister's step mother, which angered the SP's first family. Reacting to the development, Udayveer had said he had only put before Mulayam his thoughts about the "conspiracy" against the Chief Minister. Gaurav Bhatia, SP spokesman, had said Singh had crossed the "Lakshman rekha" in choosing the words he wrote in his letter to Mulayam. "Questioning the leadership of Mulayam Singh Yadav, who is an elected president of the party, was wrong. An MLC cannot dictate who the party president will be. Anybody committing an act of indiscipline has to be punished and this is what has happened," he had said. Speaking with CNN-News18, Akhilesh on Sunday said that his aides shouldn't be targeted. But, just when we thought that the drama was over, sacked minister Shivpal decided to address party workers and told them that SP would fight the upcoming assembly election under the leadership of netaji. Interestingly, all the senior members of the party (Akhilesh, Shivpal and Ram Gopal) made no qualms about hiding their differences in public. It was dirty linen everywhere. Even Shivpal, in his first address after Akhilesh sacked him, left no room for any doubts when he openly hailed Mulayam as his boss and said that he did not care about the sacking. Minutes after addressing SP workers, Shivpal called for a press conference, this time as the party president and read out a statement: "Ram Gopal is involved with BJP, he met BJP leaders three times in the last few days which UP chief minister is not understanding. Akhilesh Yadav must understand who is with him and who is not. He (Ram Gopal) has been conspiring against me and he has been involved with BJP to save his son. They have created a group of goons who trouble people and create every kind of nuisance in the state. 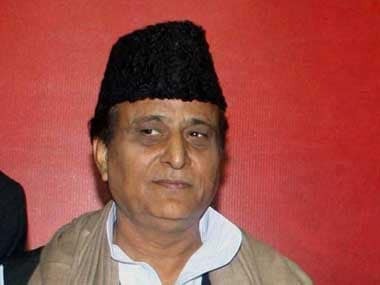 Ram Gopal is therefore expelled from the Samajwadi party and the general secretary position for six years." When a reporter asked what about Ram Gopal's son, Shivpal smirked and said, "This is enough for now." Ram Gopal, however, rubbished all charges and said that everyone meets leaders from other parties and the meeting was not political in nature. In fact, in a letter to Mulayam, Ram Gopal told the chief that he was surrounded by evil forces. There is no two-way about the fact that this open war between father son will cost the Samajwadi Party heavily in 2017 UP Assembly Election. With just two months for the election to start, the Yadavs are betting heavily on their good luck, which eventually might not pay off. With allegations of Amar Singh and Shivpal conspiring against Akhilesh and the other camp berating Ram Gopal for going against Mulayam, the worst affected will be the party, which has left itself open to criticism from all the corners. Party chief Mulayam Singh Yadav is planning to address SP workers and give a decisive word on what exactly is happening in the party. 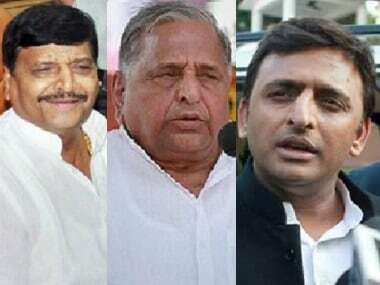 Today's plot suggests that the 24-year-old Samajwadi Party is not far placed from a split with Akhilesh and Mulayam as rival leaders even as the chief minister suggested he would not force a break. 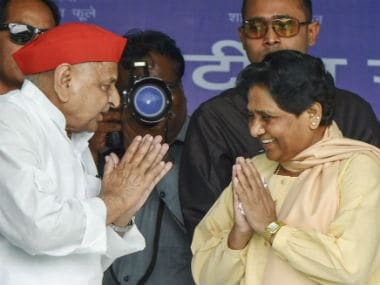 Speculations will merely take you in a circle about Samajwadi Party's future and in the upcoming elections, but it is safe to say that this tussle, which is solely a power-based fight, won't end without casualties. It will be either Akhilesh or Shivpal — whether Mulayam will choose party, or, try and seal a victory in the upcoming ekection. 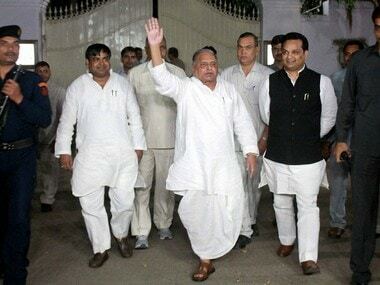 Things are expected to get clearer on Monday as Mulayam Singh told ANI post a meeting with senior party leaders at his residence: "Jo puchna hai kal puchiyega (Whatever you want to know, ask tomorrow)." Like this piece in Firstpost argues: In a state like UP, in a family-owned organisation, the one who controls the purse-strings and project tenders lords over the party. Vested with the power to oblige workers, industrialists and contractors, Shivpal emerged as the man who had most of the controls under his thumb. 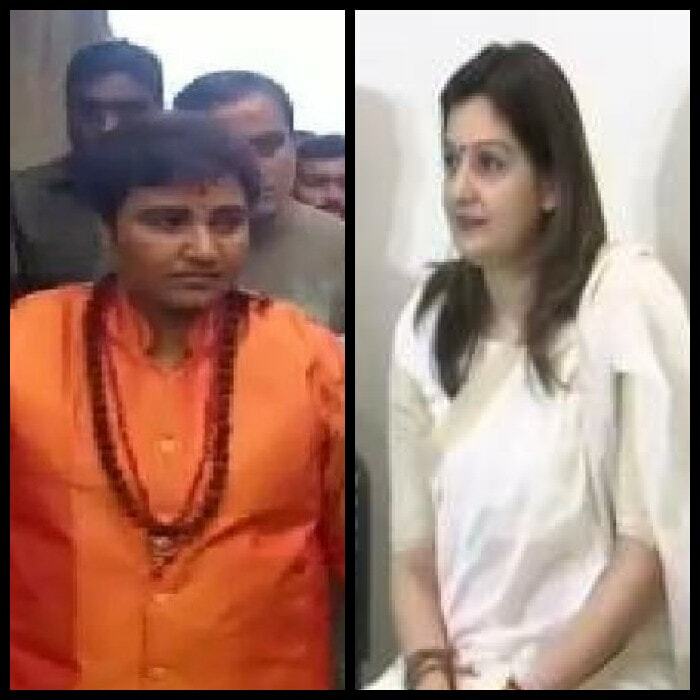 The presence of a minister with super powers and a CM with just the administrative headache was bound to lead to a turf war.